Our vibrant, social bar where all ages and groups come to eat, drink, relax and chat offers something for all occasions. Be it a fine wine to compliment your meal or a world beer while dancing to one of our amazing bands. In the summer our beautiful garden is the perfect place to lose track of time whilst sharing a bottle of Prosecco or a jug of Pimms. 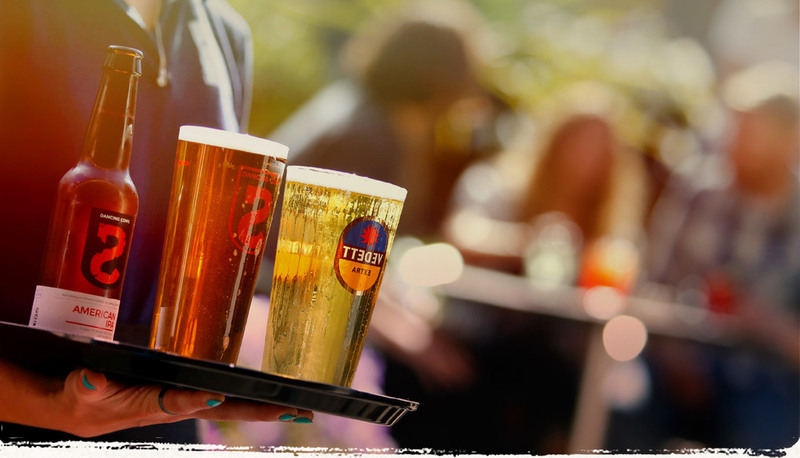 We are a social pub, not formal, giving you the perfect place to come and unwind. A lively Sauvignon Blanc bursting with vibrant zesty citrus fruit. Refreshing and endlessly quaffable. Flavours of honeysuckle & apricot with a refreshing palate. Deliciously tangy & crisp with notes of citrus & tropical fruits. A classic, refreshing Sauvignon Blanc from New Zealand, notes of passionfruit, gooseberry and cut grass. A steely Chablis from old vine fruit with green apple and citrus. A classic. An easy drinking Merlot from Central Valley soft, super-juicy ripe plumy fruit. This old vine Rioja has cherry notes along with ripe black and red fruit, spice and a touch of liquorice. A rich, well balanced classic Aussie blend with black fruits and a touch of licorice and cassis. Ruby red with bags of cherry fruit, a slightly lighter red with juicy berry fruit on the finish. Elegant and fruity. It delivers juicy red cherry, raspberry, white pepper, cinnamon and dried herb. This light Rosé is the perfect refreshing wine. Dry, fresh and fruity with notes of peach and rasberry. A fruity nose with hints of dried flowers, warm brioche & honey with a lemony finish.